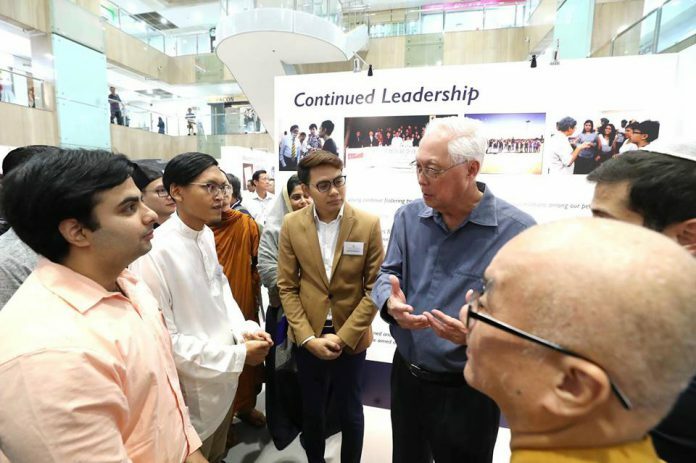 Singapore— Emeritus Senior Minister Goh Chok Tong noted on Monday, March 19, that the multi-religious harmony experienced in Singapore is the “exception rather than the norm in the world” which the nation cannot take for granted. He also urged Singaporeans to stay vigilant against religious extremism. He said, ”If you take a walk along Telok Ayer Street, you might find an imam preaching in the mosque, Masjid Al-Abrar. Close by, Chinese devotees will be offering prayers in the Thian Hock Keng and Fuk Tak Chi temples. At the end of the road, you can also visit a 190-year-old Indian Muslim heritage centre, the Nagore Dargah. At the launch of the Inter-Religious Organisation’s (IRO) 70th-anniversary exhibition, of which he is a patron, he said “The heinous acts committed at two mosques in Christchurch are a sad reminder that the peace we enjoy is both precious and fragile, and cannot be taken for granted. The exhibition shows the IRO’s efforts throughout the years to encourage harmony between the different faiths in Singapore. Included are interactive games for visitors, as well as a display of artifacts from 10 major religions from around the world— the Baha’i faith, Buddhism, Christianity, Hinduism, Islam, Jainism, Judaism, Sikhism, Taoism, and Zoroastrianism. This exhibition will continue through March 31 at Far East Plaza and is open from 11:00 am until 8:00 pm. The Emeritus Senior Minister also acknowledged the challenges that Singapore faces in keeping society socially cohesive. “Segregationist practices that are imported through foreign preachers and social media threaten to reduce the common space in society that our different religions share. And terror acts and other hate crimes by extremist groups and individuals can turn communities against one another. The actions of a radicalized few could potentially cause distrust of the peaceful many who live in harmony, and split societies. Regardless of our own beliefs, we must always protect the freedom to interact with one another as friends, neighbours and fellow Singaporeans,” he added. Mr Goh praised the IRO for its endeavors to keep religious harmony intact in the nation, noting that the group does so by example. The Emeritus Senior Minister encouraged everyone in Singapore to keep building the common space in society, as well as to stay vigilant against forms of religious extremism and segregationist practices. He also asked for daily interactions between faith communities to be strengthened. Mr Goh made mention of the importance of building the Inter-religious Confidence Circles or IRCCs, present in every constituency. These IRCCs were formed soon after the September 11, 2001, terror attacks on America. Ben Benjamin, the president of the IRO, said at the launch that starting from May, the group will introduce new projects aimed at reaching younger people, as well as build its presence online, where the IRO will be sharing content geared toward building interfaith harmony.